Calling all passionate pet lovers and charity activists! This one's for you. What can we learn from animal rescue that can be applied to doing good in a digitally connected world? Come network and listen to an an interview with Ali Bullock, author/curator of the Woof Guide, animal photographer (animalsinphotos.com) and activist by night and Cathay Pacific online guru by day. Ali has donated his spare time to Animals Asia, HK Dog Rescue, Society for the Prevention of Cruelty to Animals (SPCA) and many other good causes. He'll be sharing his learnings about how charities and good samaritan behaviour can be leveraged on the internet, whether it is for the benefit of animals (four legs), humans (two legs) or corporations (legless!). Our 53rd social mixer will take place at Bisous on Wednesday 16th November, from 6:30pm to 9:30pm, with the talk/interview starting at 7:15pm. Let us know you're coming by signing up on Facebook or this blog. An additional round of free drinks and lucky-draw prizes are being generously sponsored by JigoCity Hong Kong. 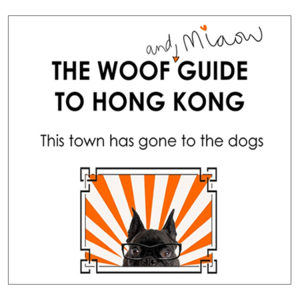 This month we will donate 10% of entrance fees to Hong Kong Dog Rescue. Join their Peak to Fong walk on Sunday 27th November, 2011. Looking forward to seeing old dogs and meeting new cats!